We are the leading and prominent Manufacturer and Exporter of XLPE Motor Wire. 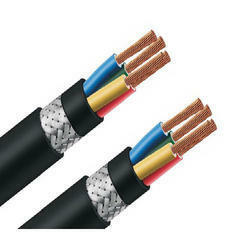 Bhuwal cables are the Indias largest manufacturer of XLPE cables. KV Power Cables Application The XLPE Cables are used under ground as well as over head transmission of power in power plants, industries, projects and all other electrical installations. Features Bhuwal manufactures different types with combinations of specifications as mentioned above as per IS 7098 Part I for cables upto 1100V. 1.1 KV Copper Power Features Bhuwal manufactures all above combinations as of 1.1 KV grade Control cables as per IS 7098 Part I from two cores to 61 cores in 1.5 and 2.5 sq mm sizes. All tests as per relevant specifications are conducted.